Will Bankruptcy make it impossible to obtain credit or purchase a home? The impact of a bankruptcy on your credit will decline as time passes. When you re-establish credit often with pre-paid cards or high interest cards initially, it is important that you accrue good credit history. These will lead to credit offers at lower interest rates with fewer fees. A person who receives a bankruptcy discharge becomes eligible for an FHA loan two years after the discharge as long as the debtor does not have derogatory credit after the discharge. What debts will Chapter 7 bankruptcy eliminate? Chapter 7 will extinguish your legal obligation to repay most forms of unsecured debts, such as credit card balances, unsecured lines of credit, medical bills, home utilities, cell phone bills and much more. Unsecured debts include any loan that is not against a specific large asset such as a house or car. This means that you are not relieved of the obligation to pay your home mortgage, loans on financed vehicles and other obligations subject to a security interest. There are also certain forms of unsecured debt that you are required to pay, including but not limited to family court type obligations like child and spousal support, some forms of taxes, student loans (with narrow exception), DUI related personal injury judgments or settlements and other obligations that Congress has made a priority obligation based on policy considerations. All collection activity against you immediately terminates because of the “automatic stay.” The automatic stay is essentially an injunction that bars most debt collection activity once a bankruptcy has been filed. The purpose of the automatic stay is to provide a temporary reprieve to debtors who are attempting to obtain bankruptcy relief. Generally, this prevents creditors from taking any actions to enforce a debt so the harassing calls and letters, creditor lawsuits, wage garnishments and most other types of debt enforcement and collection efforts will cease. Sometimes a creditor like your mortgage company will file a Motion for Relief from Automatic Stay to request permission to move forward with its legal remedies. It is very important to have legal representation at such a hearing. In general any credit card collection lawsuits are frozen in their tracks immediately after a bankruptcy filing. While Chapter 7 allows qualifying debtors to be excused from the obligation to pay most forms of unsecured debts, Chapter 13 involves making monthly payments toward your debts, which means some portion of credit card balances and other types of dischargeable obligations will be repaid. While you may still receive a discharge of the balance on dischargeable unsecured debts upon completion of your 3 or 5 year repayment plan, you will not be completely excused from the obligation to repay something toward these debts. Ayo and Iken strictly recommends Chapter 7 filings – as being the most beneficial to our clients. If I make a pretty good living, I presume I cannot qualify for Chapter 7 bankruptcy? This is not necessarily true. There are plenty of people that make over $100,000 per year that qualify for a Chapter 7 Bankruptcy discharge. Even if you make substantially more than the median average income in Florida, you may still qualify for Chapter 7 depending on your financial debts and monthly payments. 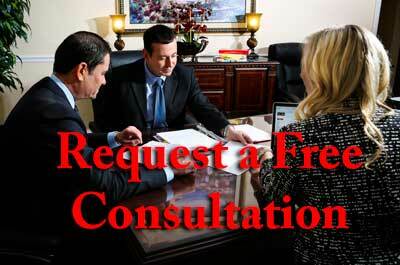 If you contact one of our experienced Florida bankruptcy attorneys, they can advise you about whether you qualify. But in general it is more difficult to file a Chapter 7 in Florida if you are a high income earner. While we have tried to answer some of the most common questions we receive about bankruptcy in Florida, the best way to get more specific information regarding your unique situation is to speak with an experienced bankruptcy lawyer. Call us today at Ayo and Iken to schedule your confidential free consultation at 1-800-469-3486 or fill out the web form to receive a call from our staff.